Install GinikoTurkish TV Fire TV Application 3 Easy Steps via Sideload Method. documentation to install directly to your Amazon Fire TV. Go to the Fire TV home page, then navigate all the way to the "Settings" tab on the far right. Highlight "Device," then "Developer Options." Highlight "Apps from Unknown Sources", then press the center button. Select "Turn on" on the warning screen. That's it-you're ready to install Giniko Turkish TV installation. 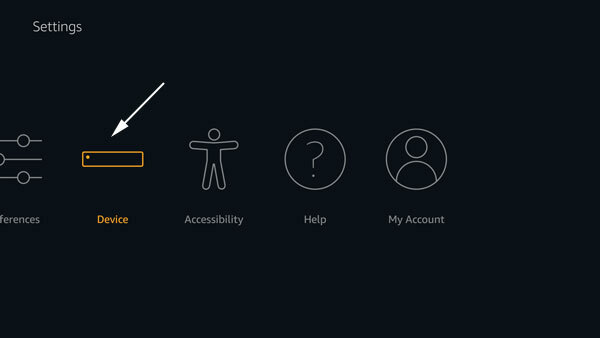 Go to the Fire TV home again page, then navigate all the way to the "Settings" tab on the far right. Then, using either the "Search tool" on the far left or the Alexa voice search button on your remote, search for "Downloader." Highlight the result below to get to the app page on the Amazon Appstore. Downloader app will appear on the home page and under "Apps." You are ready install our application at Step 3. Open and start "Downloader" appplication. At URL section enter: "http://ginikoturkish.com/firetv"
Select "INSTALL" to start installation Then Click "OPEN" to start GinikoTurkish TV App. 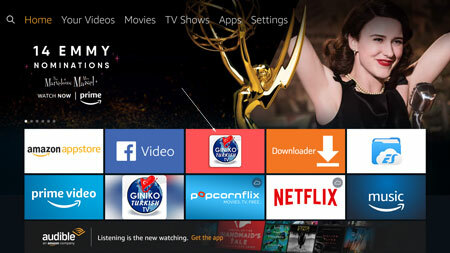 GinikoTurkish TV app will appear on the home page and under "Apps."